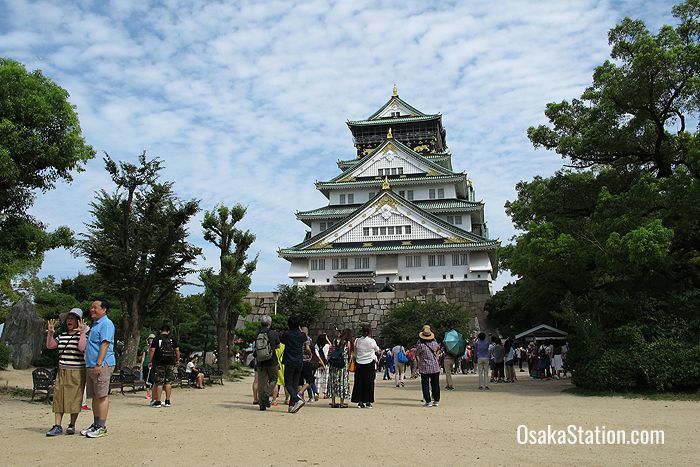 Osaka Castle is a popular tourist spot and a striking historical landmark in the middle of a modern urban cityscape of high-rise concrete blocks. The castle stands in an expansive lawn covered park and consists of a complex network of moats, turrets, and walls surrounding a massive central tower. Thirteen of the structures around the main tower are designated as Important Cultural Assets by the national government. 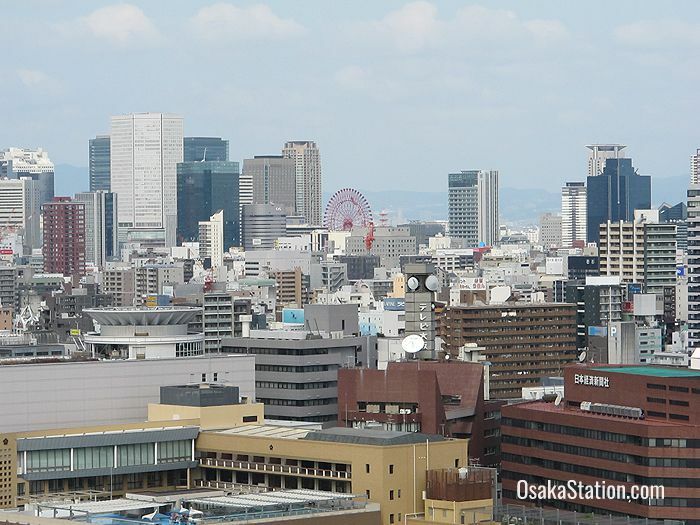 The main central tower is 55 meters high and houses a museum and a viewing platform from which visitors can enjoy fantastic panoramic views of Osaka city. 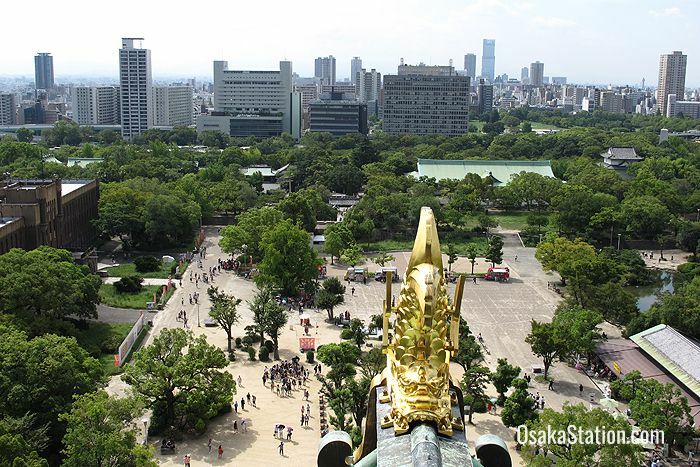 Osaka Castle was first built between 1583 and 1585 by the warlord Toyotomi Hideyoshi who ruled over Japan at that time. 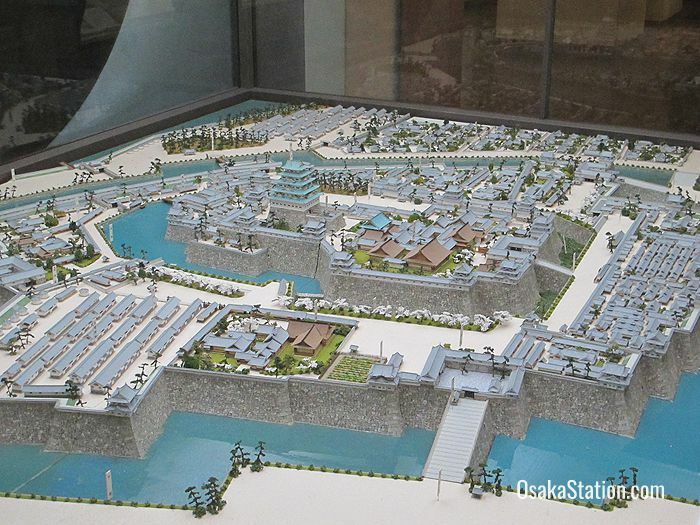 During Hideysohi’s lifetime the castle was constantly enlarged and improved and the town of Osaka grew with it becoming an important center of trade and politics. Much of the castle was destroyed in the wars of the early 17th century, rebuilt again in 1620, and then lost again to a fire caused by a lightning strike in 1665. The current castle tower that we see today is a reconstruction completed in 1931. This building survived the bombing raids of World War 2, but did suffer some damage, and was again badly damaged by a typhoon in 1950. Happily the castle was completely renovated in 1997, with fresh white plaster on the walls, new tiles on the roof, restored ornaments, and gold leaf decoration. 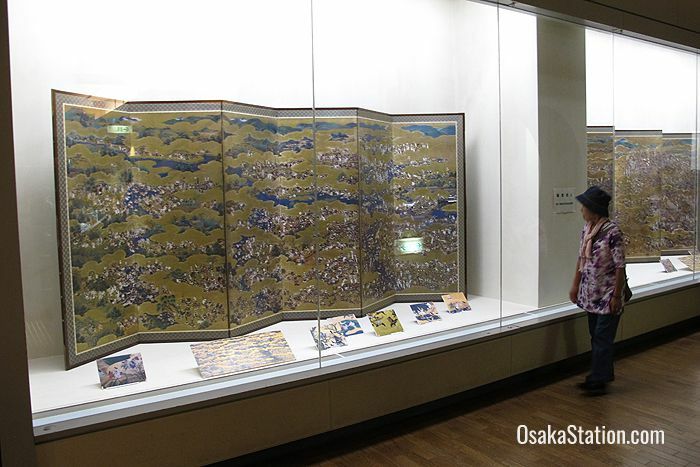 Today it stands in the midst of modern Osaka as a stunningly beautiful symbol of the city’s pride in its past. 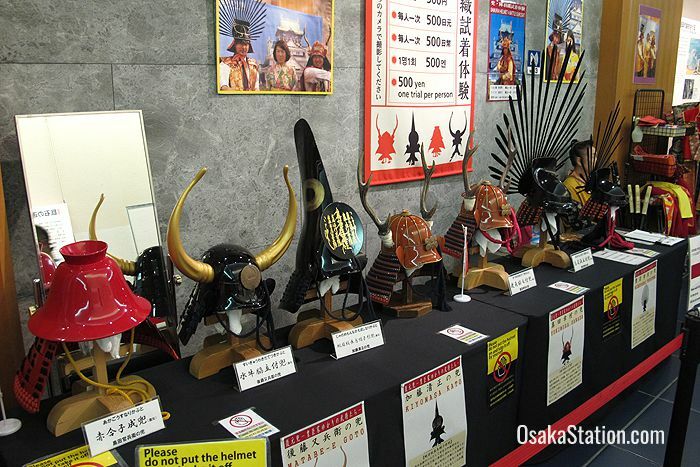 Inside the castle is a museum with eight floors of displays related to the castle’s history. 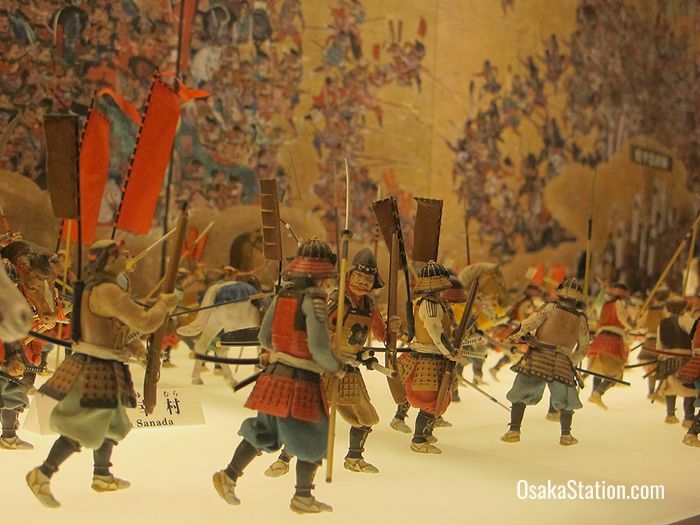 There are historical artifacts, colorful screen painting, samurai costumes that you can try on for a fee, and a scale model of the original 16th century castle town. On the 8th floor is the observation deck which circles the top of the tower and from which you can enjoy truly spectacular views of the city. There is an information desk on the 1st floor of the castle museum where you can rent audio guides in Japanese, English, Chinese, and Korean. There is also a movie theater on the 1st floor showing historical programs with subtitles in English, Chinese and Korean. 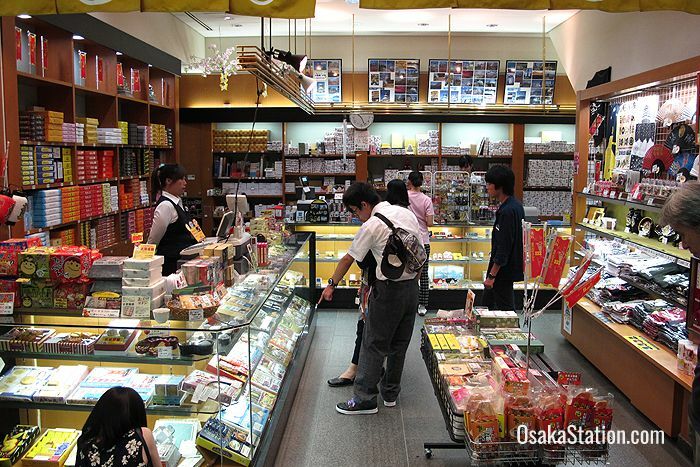 There are souvenir shops on the 1st and 8th floors of the castle museum. Toilets are available on the 2nd floor. Senior citizens and visitors using wheelchairs can use elevators to access the upper floors, and the 8th floor observation deck is also wheelchair accessible. 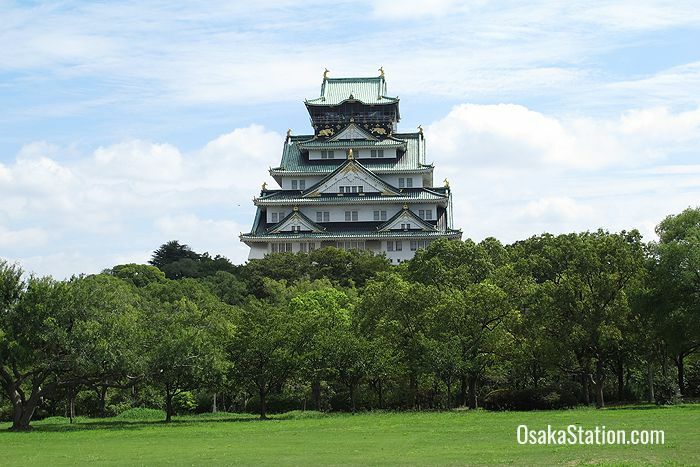 Osaka Castle Park extends over two square kilometers, and contains grassy lawns, plum, peach and cherry blossom groves, sports facilities, the Osaka-jo Hall arena, and the Toyokuni Shrine which was first built in 1599 to commemorate Toyotomi Hideyoshi. Within the park grounds, the Nishinomaru Garden is 200 yen to enter. It has a tea house and many cherry trees which are popular in the spring, and is a good spot from which to view the castle. 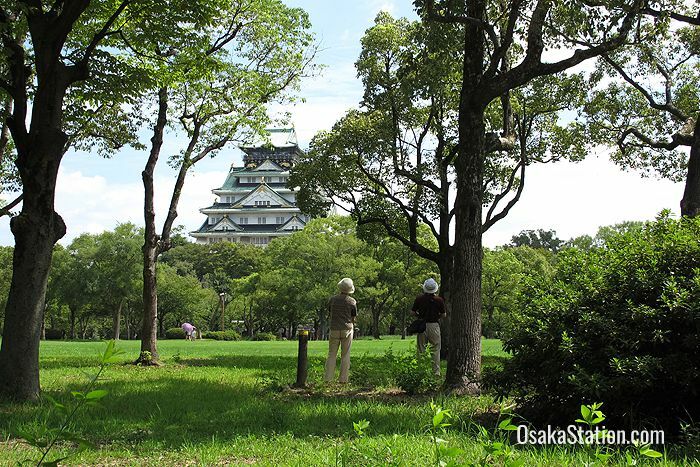 Osaka Castle stands within extensive park grounds and around this park are four different stations that are within easy walking distance. 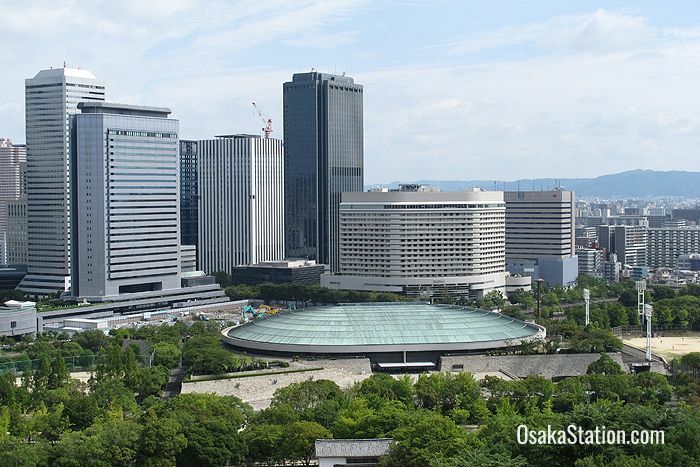 From Osaka Station the easiest way to get to Osaka Castle is to take the Osaka Loop Line to Osakajokoen Station on the park’s north east side. From there it is an 18 minute walk through the park grounds to the castle itself. Morinomiya Station on the park’s south east side is good for the Osaka Loop Line, the Chuo Subway Line, and the Nagahori Tsurumi-ryokuchi Subway Line. Tanimachi 4-chome Station on the parks south west side is good for the Chuo Subway Line, and Tanimachi Subway Line. Temmabashi Station on the park’s north west side is good for the Keihan Main Line and the Tanimachi Subway Line. 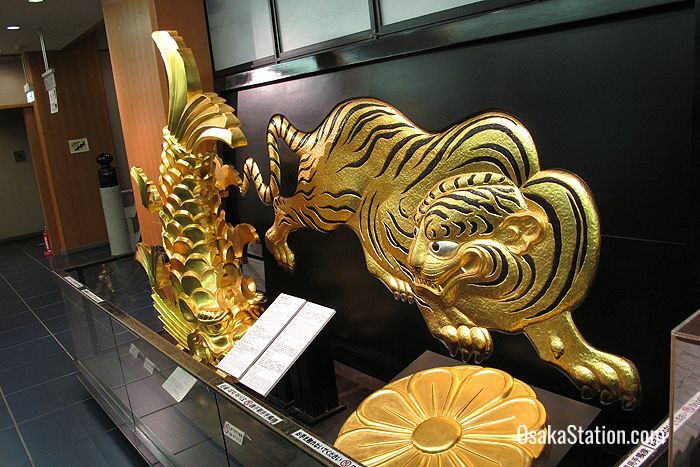 If you are traveling from Kyoto, taking the Keihan Main Line to Temmabashi Station is the easiest route to Osaka Castle. 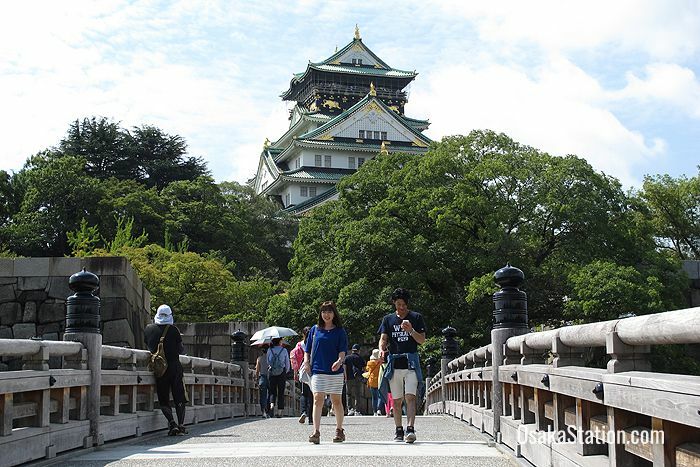 From the outer edge of the park to the main tower of the castle it is a 15 – 20 minute walk.